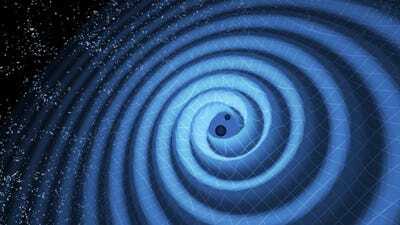 One hundred years ago, Albert Einstein predicted the existence of ripples in the fabric of space called gravitational waves. He didn’t believe we could ever hear them; he thought they’d be too quiet. 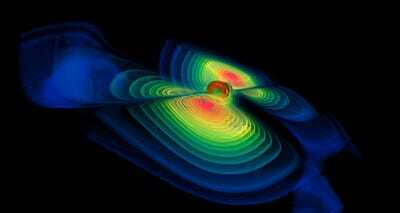 LIGOA computer simulation of two black holes merging and creating gravitational waves. LIGO’s two 5-mile-long, L-shaped detectors each recorded the latest signal in unison on December 26, 2015, which was only two months after the experiment “heard” the first-ever waves. A third signal may have also been detected in October, but researchers say it’s too weak to confirm. LIGOThe three events LIGO has picked up are called GW150914 (Sept. 14, 2015), LVT151012 (Oct. 12, 2015), and GW151226 (Dec. 26, 2015). They merged to create a single black hole about 21 times the mass of the sun — which means the collision turned roughly one sun’s worth of mass into pure energy as gravitational waves. 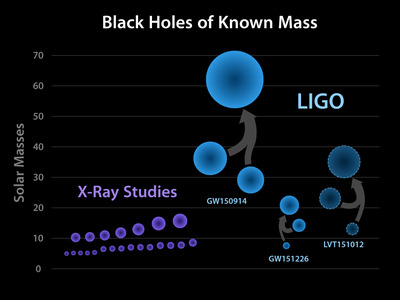 LIGOA chart that shows the known masses of black holes. 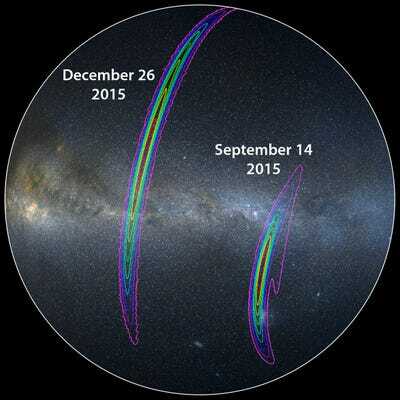 GW151226 is the most recent gravitational wave detection. 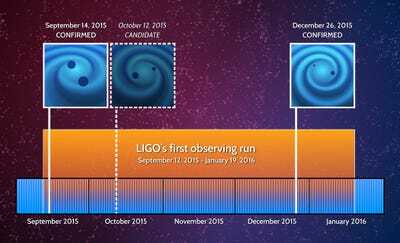 “[The gravitational waves] spent more time — about one second — in the sensitive band of the detectors,” Gabriela Gonzalez, physicist and spokesperson for the LIGO collaboration, said in a press release. By contrast, the previous, much larger merger lasted just one-fifth of a second. LIGO’s two big detectors, separated by about 1,800 miles, also helped scientists triangulate the region of space where the waves came from. The second detection of gravitational waves may not seem as monumental as the first, but astronomers would beg to differ: It proves that an entirely new field of astronomy — one in which scientists can “listen” to the music of the universe, and perhaps even peer into its origins — is not only possible, but productive. “We are starting to get a glimpse of the kind of new astrophysical information that can only come from gravitational wave detectors,” said physicist David Shoemaker, who led the construction of LIGO. Scans of the sky using visible light, X-rays, and electromagnetic waves have been insufficient, says astrophysicist and LIGO data analyst Vicky Kalogera, because they only provide circumstantial evidence of how black holes warp the light and space near them. Gravitational waves, on the other hand, are what black holes themselves emit — the “natural language” of their existence. “For the first time, we’ve been able to understand their language and understand what they’re telling us,” Kalogera told Tech Insider. LIGOA researchers works on one of the components of LIGO. Astrophysicist and LIGO collaborator Imre Bartos told Tech Insider this language includes a “peek into the heart” of black holes: How they form, coalesce, and evolve. The next instrument they will get is an upgraded version of the Virgo interferometer in Europe, which is slated to go online sometime in 2016. 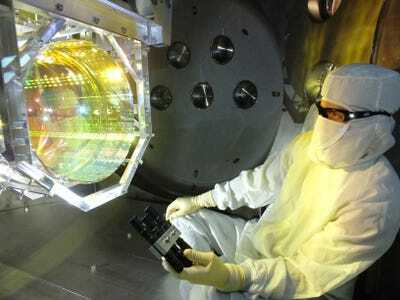 Working in concert with LIGO’s two detectors, Virgo should help give astronomers an even better understanding of black hole behaviour and, by extension, the inner workings of the universe. 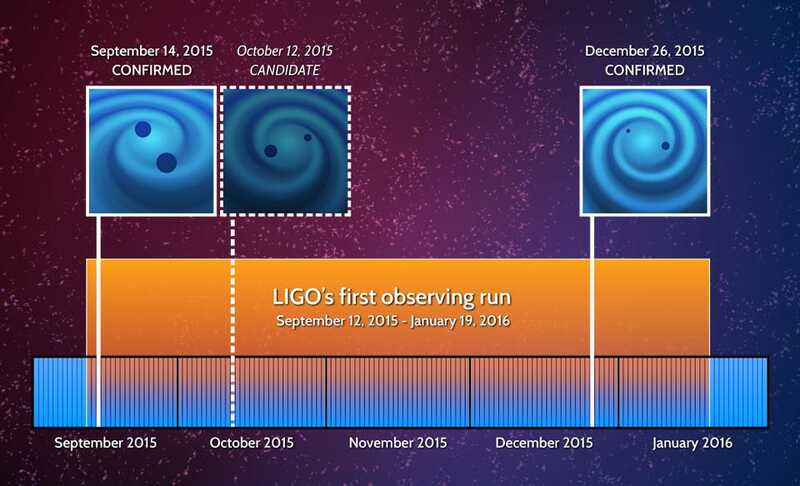 Kalogera says LIGO’s next run this summer could pick up as many as 10 new events. And as technology advances, she suspects it could find roughly 100 per year, or one every three days. But there’s no doubt an entirely new era of astronomy has begun — one in which we can encounter events Einstein could only dream of observing. “LIGO is bringing us a new way to observe some of the darkest yet most energetic events in our universe,” deputy director Albert Lazzarini said in a press release.